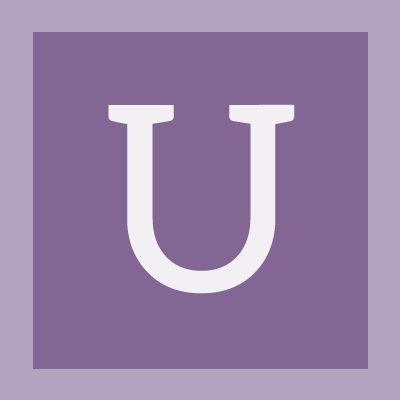 user1 (user1) created T63481: Annotation leaks from nodegroup-level to shader level. user1 (user1) created T62847: Grease pencil active material highlighting is weird. user1 (user1) created T61109: particle object sticks at emitter. user1 (user1) added a comment to T60856: Curve extra objects in 2D enviro makes me force blender to quit by brute force..
Yepp, in the recent version it's gone. Thanks and sorry for pulling you off of your awesome work for nothing. user1 (user1) updated the task description for T60856: Curve extra objects in 2D enviro makes me force blender to quit by brute force..
user1 (user1) created T60856: Curve extra objects in 2D enviro makes me force blender to quit by brute force..
user1 (user1) created T60743: VSE/wipe-effect: greyed-out equals click-through. user1 (user1) created T60201: Transparent subsurf edit cage occludes underlying vertices..
user1 (user1) created T60200: Crash: Skin-modifier bug (yet another -). user1 (user1) created T60011: Node wrangler: switch shader list in Eevee shows Cycles list. user1 (user1) created T59990: Crash when entering edit mode with skin modifier enabled..
user1 (user1) updated the task description for T59956: custom object texture coordinates not used in texture coordinate node. user1 (user1) created T59956: custom object texture coordinates not used in texture coordinate node. user1 (user1) added a comment to T59894: Mesh is exaggerating armature movements. i found out that i still had the vertex group filtering on (but hidden since last blendfile closure), so only groups with f were shown. I'm very sorry for having stolen your time. I deleted all groups, the armature modifier and the parenting, and then re-parented with automatic weights, and apart from a not so great binding of the head and some of the eyes, the mesh now behaves more or less as expected. Only minor weight painting is now to be done. Many thanks for the push in the right direction, and thanks also in general for helping making Blender so awesome! 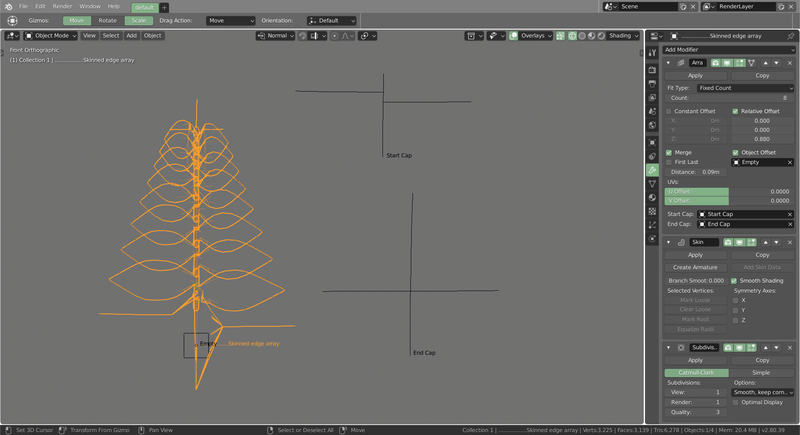 user1 (user1) renamed T59894: Mesh is exaggerating armature movements from Mesh is exagerating armature movements to Mesh is exaggerating armature movements. user1 (user1) updated the task description for T59894: Mesh is exaggerating armature movements. user1 (user1) created T59894: Mesh is exaggerating armature movements. user1 (user1) created T59893: Text info in 3dview shows wrong collection. user1 (user1) renamed T59892: Spider full of bugs: 1-rotate/scale not functional from Spider full of bugs to Spider full of bugs: 1-rotate/scale not functional. user1 (user1) updated the task description for T59892: Spider full of bugs: 1-rotate/scale not functional. user1 (user1) added a project to T59892: Spider full of bugs: 1-rotate/scale not functional: BF Blender: 2.8.
user1 (user1) created T59892: Spider full of bugs: 1-rotate/scale not functional. user1 (user1) updated the task description for T59886: Sticky drawing of transform widget. user1 (user1) created T59886: Sticky drawing of transform widget. user1 (user1) created T59828: Crash in OGL drawcode with a specific shader. user1 (user1) closed T59821: No motion blur with eevee CPU as Invalid. user1 (user1) added a comment to T59821: No motion blur with eevee CPU. Oh, i see. Thnks for the info. user1 (user1) created T59821: No motion blur with eevee CPU. user1 (user1) updated the task description for T59820: Keyframe convenience not working. user1 (user1) created T59820: Keyframe convenience not working. user1 (user1) created T59792: unlocated crash. user1 (user1) added a comment to T59770: Array/Skin-Modifier-Combo causes crash. ...while the result is unexpected though. user1 (user1) created T59770: Array/Skin-Modifier-Combo causes crash. user1 (user1) created T59628: "Ungroup" node groups (ctrl-alt-g) doesn't work. user1 (user1) created T59627: Joining bones crashes Blender. user1 (user1) added a comment to T58524: Cycles Compute Device only shows "none"..
user1 (user1) added a comment to T59452: Different curve surface drawing in object- vs. edit-mode. user1 (user1) added a comment to T59453: hook bug. the image above already shows my simplified bug. Add a curve, subdivide it twice in edit mode, select the first contol point and hit ctrl-h.
user1 (user1) changed the status of T59509: Particle rotation bug from Resolved to Invalid. I found the issue, but it is too embarrassing to tell. Sorry 1000 times! user1 (user1) closed T59509: Particle rotation bug as Resolved. user1 (user1) added a comment to T59509: Particle rotation bug. @William Reynish (billreynish) Please use my blendfile and tell me if you can do them upright in 2.8. My particles aren't objects but groups (collections). user1 (user1) updated the task description for T59509: Particle rotation bug. user1 (user1) created T59509: Particle rotation bug. user1 (user1) created T59453: hook bug. 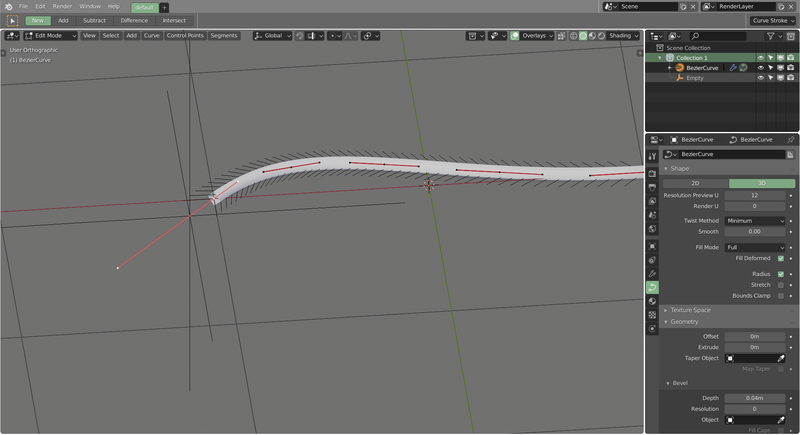 user1 (user1) updated the task description for T59452: Different curve surface drawing in object- vs. edit-mode. user1 (user1) created T59452: Different curve surface drawing in object- vs. edit-mode. user1 (user1) created T59115: Auto bone controller doesn't work. user1 (user1) added a comment to T59091: Bendy bone duplicate got wrong handles. Isn't it already odd that the bone chain after subdividing a single bone isn't [bone/bone.001/bone.002], but [bone/bone.002/bone.001]? user1 (user1) updated the task description for T59112: Pinning data block display changes window content. user1 (user1) renamed T59112: Pinning data block display changes window content from Pinning changes window content to Pinning data block display changes window content. user1 (user1) created T59112: Pinning data block display changes window content. user1 (user1) created T59091: Bendy bone duplicate got wrong handles. user1 (user1) created T59080: No autoname left/right. user1 (user1) updated the task description for T58952: using snapping pie (pie menu addon) causes error. user1 (user1) created T58952: using snapping pie (pie menu addon) causes error. user1 (user1) updated the task description for T58945: Editmode Tool in topbar not updated after deleting object from the outliner. user1 (user1) renamed T58945: Editmode Tool in topbar not updated after deleting object from the outliner from Curve corner detection not functional to Curve draw cursor and topbar settings not updated. user1 (user1) closed T58945: Editmode Tool in topbar not updated after deleting object from the outliner as Invalid. user1 (user1) created T58945: Editmode Tool in topbar not updated after deleting object from the outliner. user1 (user1) created T58935: 2D window text info shows camera as active while it's not. user1 (user1) changed the status of T58891: Editor Type Button "User Preferences" is a black hole from Invalid to Resolved. user1 (user1) added a comment to T58891: Editor Type Button "User Preferences" is a black hole. user1 (user1) updated the task description for T58891: Editor Type Button "User Preferences" is a black hole. user1 (user1) added a comment to T58750: Missing tooltip for forcefield setting "Falloff/Power". user1 (user1) created T58891: Editor Type Button "User Preferences" is a black hole. Does that mean i have to close the thread now? Sorry if my question sound silly. I'm still learning. I read your tooltip. Like that formula part. user1 (user1) changed the status of T58869: Collection visibility displaying wrong state from Archived to Resolved. user1 (user1) added a comment to T58869: Collection visibility displaying wrong state. Ah, i see. Objects don't have to be in collections! Thanks. That helped. user1 (user1) updated the task description for T58869: Collection visibility displaying wrong state. user1 (user1) created T58869: Collection visibility displaying wrong state. user1 (user1) updated the task description for T58839: Changing curve radius via popup resets other settings. user1 (user1) created T58839: Changing curve radius via popup resets other settings. user1 (user1) added projects to T58827: Freestyle not working: BF Blender: 2.8, Freestyle. user1 (user1) created T58827: Freestyle not working. user1 (user1) created T58824: Subsurf modifier does not adjust edit cage to modifier result. user1 (user1) created T58750: Missing tooltip for forcefield setting "Falloff/Power". user1 (user1) updated the task description for T58715: File Browser: Creating "New Folder" issues with too many existing folders in display. user1 (user1) created T58715: File Browser: Creating "New Folder" issues with too many existing folders in display. user1 (user1) added a comment to T58592: Keyboard shortcut cut links (Ctrl + click) don't work in the Shader Editor. user1 (user1) added a comment to T58632: Particle don't update rotation settings. wow, i just found out that it's even more weird: With rotation turned off, after the halo-trick, try to change the seed. 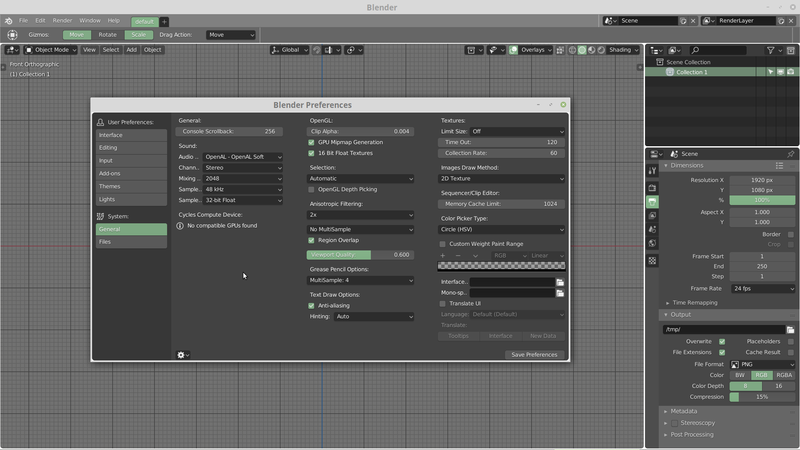 You will see that blender still assumes that you want rotation. ...but if you switch to halo rendering and back to object rendering, then the rotation is gone as expected. user1 (user1) updated the task description for T58632: Particle don't update rotation settings. user1 (user1) created T58632: Particle don't update rotation settings. user1 (user1) closed T58618: Poor little weld op as Resolved. Yes, absolutely. My mistake. This is the first time i take notice of that settings. Glad that little weld is still among us :) Thanks. user1 (user1) created T58618: Poor little weld op .